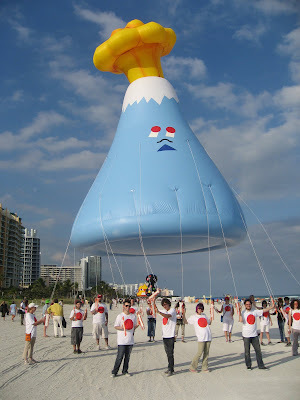 FriendsWithYou is an artist collaborative founded by the two Miami-based artists, Sam Borkson and Arturo Sandoval III. 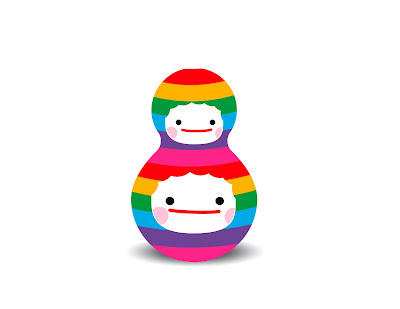 Since its conception in 2002, FWY has continued to promote the two artists' common message of magic, luck, and friendship, through its popular designer toy line, public art installations,playgrounds, published works, live performances, various animation, motion picture, and multimedia projects. 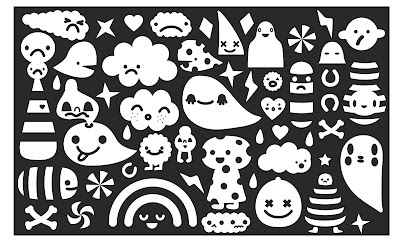 From Art Basel in Miami to Pictoplasma in Berlin, they have been invited to participate in some of the coolest artistic happenings worldwide. Due to its unique style, creative and technical abilities, FWY has also been commissioned to help develop the image and identity of some of the world’s best brands, including, among others, Nike, MTV, Red Bull, Volkswagen, and Coca-Cola. FWY works towards sharing its message of magic, luck, and friendship, to a wider global community by collaborating with other creative forces, and by producing innovative works that will continue to redefine its audience. How and why did FriendsWithYou begin? FriendsWithYou is a system engineered by magic, luck, and friendship. We started it to open the perceptions of the world and connect all people through art. Most interesting projects so far? 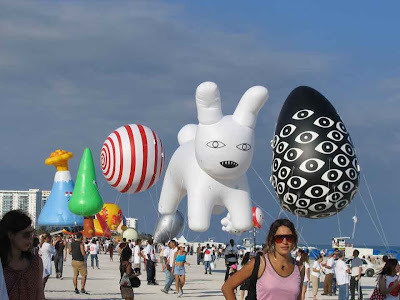 Skywalkers was an amazing blimp parade on Miami Beach during Art Basel 2006. It was a dream project that expanded the scale of anything we had ever done before. All the people involved really made this great! Rainbow Valley, our permanent playground at Aventura Mall, allowed us to put the power of play into all the kids that go wild in this little world we built for them. In your own words how do you describe "FriendsWithYou"? Its a cultural virus that is based on simple principles that everything has a spirit and that each individual human, animal, or ghost has all the power they want. Its like a magical doorway to an universe that lies right beneath our noses.Favorite artists? there are just too many.What makes Miami so special for the art scene? Its the most beautiful place in the US probably. Great people, great beach, nice vibrations. Ocean Gods, family and friends.